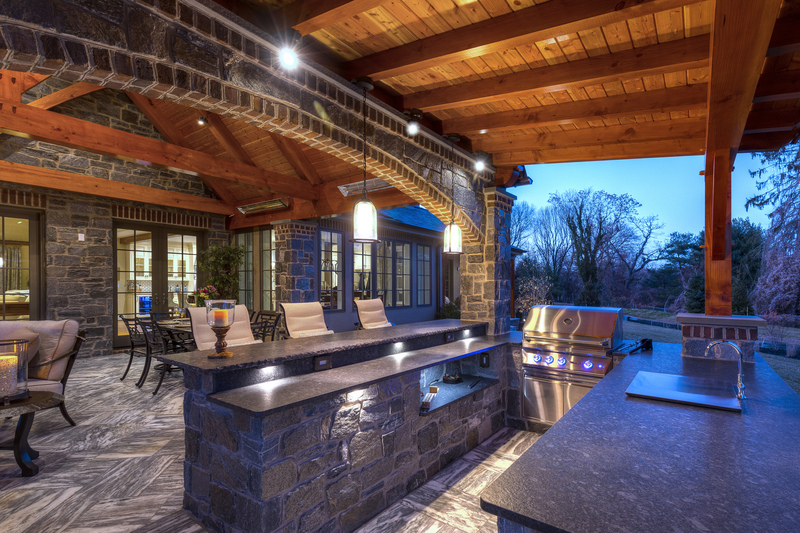 Fully equipped custom outdoor kitchens allow you to extend your entertaining outdoors. 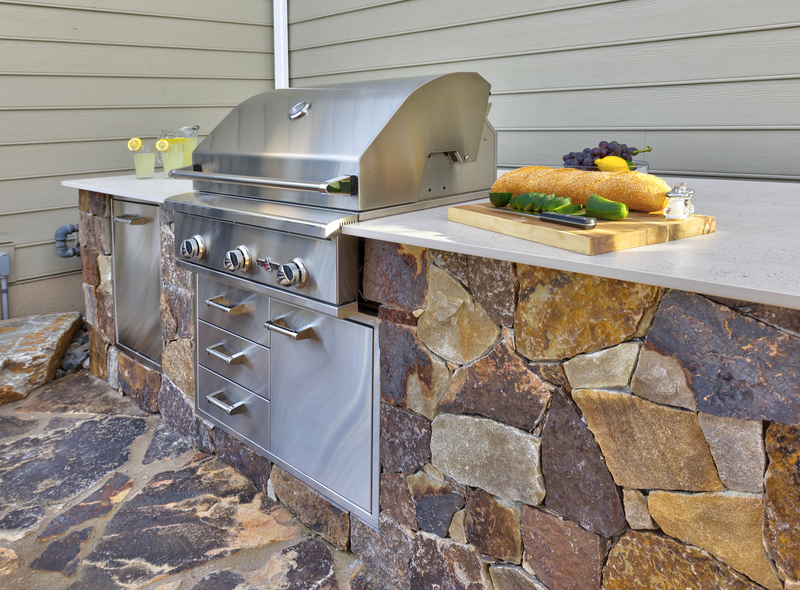 Cook and entertain at the same time in one fully-equipped outdoor space. Natural stone floors and other outdoor rooms make it easy and enjoyable to spend more time outside. 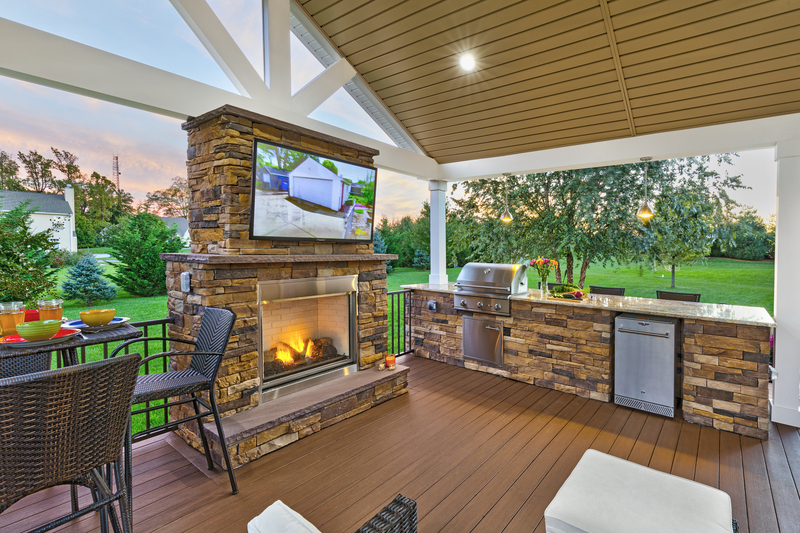 Each can be customized with features such as built-in outdoor kitchen appliances, overhead pergolas with ceiling fans, or full-service custom outdoor pavilions. And since each outdoor room is custom designed, they can be built to complement other landscaping features such as natural stone seat walls, waterfalls and pools. 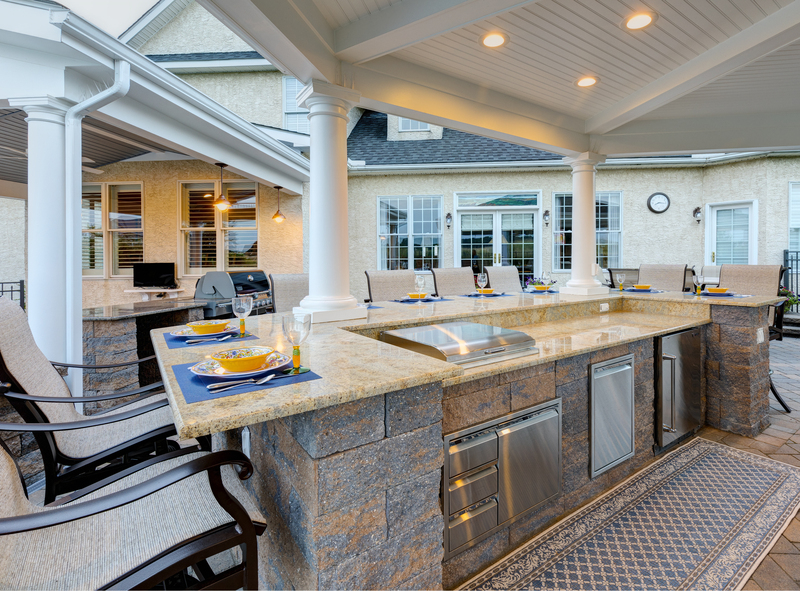 Contact us today to get started on your beautiful custom outdoor kitchen design plans! I called the day after the hurricane and left a message. We needed tree removal in order to access our driveway. Within an hour of leaving the message Tessa returned the call and sent out a crew to open the driveway. We were not expecting to have our call returned on the weekend. This is one of the reasons we are repeat customers!